Blended learning is any education strategy that features both digital and traditional teaching methods to help students learn. It’s exceptionally effective at helping long-term information retention in a diverse student body. Most often, blended learning incorporates tried-and-true teaching methods (like lecture) with the latest in classroom technology (like digital curriculum). Combined, you teach auditory learners, visual learners, hands-on learners, and more all at the same time! With that said, what’s left to discuss about blended learning? In this blog post, we’ll dive into the nitty-gritty about blended learning, what it means, why it’s used, and how you can implement it in your classroom as quickly as possible! To prove how useful it is, we’re going to take a blended learning approach to this blog post. If you learn best from video, jump to the next section! If you learn best from graphics, hop down to our infographic. If you learn best with text, you can skip over both to keep reading. We’ll explain everything about blended learning — and then some — on this page. We also have a hands-on challenge for you at the end! So before we get too far into the weeds, let’s check out the video! Video: What Is Blended Learning? 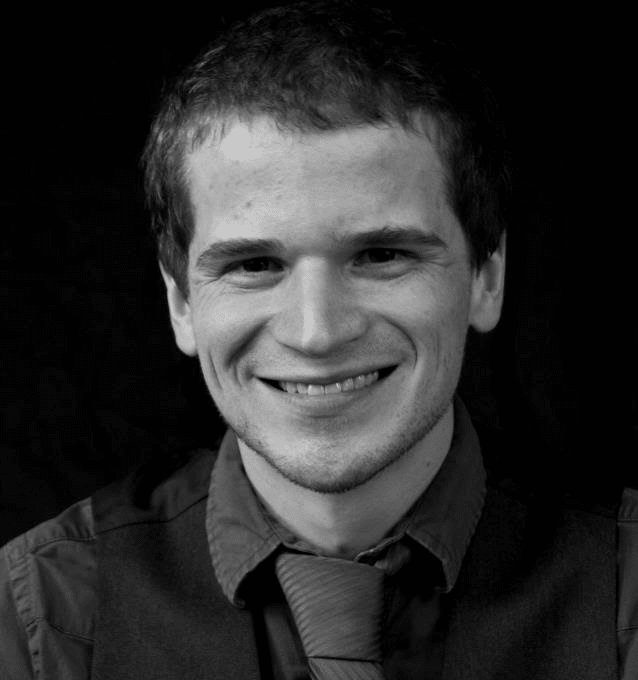 Sometimes, it’s easiest to learn from a video that someone else has created to share information in a bite-sized piece! But what if you learn better from a graphic? Infographic: What Is Blended Learning? For the visual learners in the audience, you can check out this small graphic to keep a reminder about blended learning nearby. And if you’re interested in text? We have that in spades! Did the text, video, and / or graphic so far in this blog post resonate with you in some way? If so, you’re in the majority of learners — both minors and adults — who learn from one of those methods. You’ll probably find that the students in your classroom respond to this teaching variety the same way! In fact, we have the statistics to prove it! Roughly 70% of students say they learn best in a blended learning environment. In addition, 60% of students say it’s important to have online communication with other students in a structured educational environment, like a forum. That’s because slightly more than half of all students — 57% — prefer to keep their social and academic lives separate. Finally, online classrooms and classwork are actually more affordable for schools than conventional teaching. Blended learning environments can cost up to $2,382 less per student than your run-of-the-mill classroom these days. As technology and the speed of digital connectivity improves, those savings are slated to increase as well. In other words, blended learning is important because it’s proven to work for everyone. It’s a more effective way of teaching students. It maintains boundaries between academic and personal lives. It’s structured. It’s affordable. It’s borderline impossible to hit all of those benefits with one teaching strategy, but that’s the magic of blended learning! In fact, we’ve argued in the past that paying for blended learning isn’t actually a cost at all — it’s an investment. That means there’s only one question left to answer about blended learning. How Can You Start with Blended Learning? 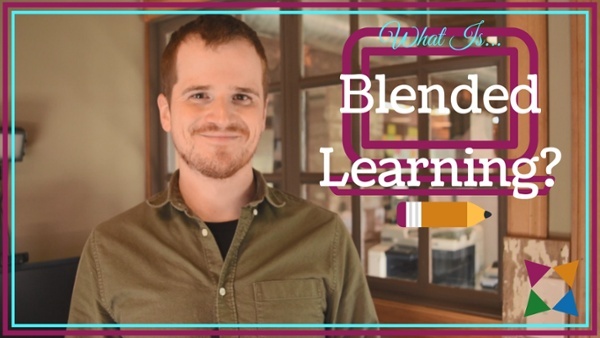 There’s a ton of information out there on blended learning and how you can get started. In fact, AES has written about it dozens of times since it’s become so popular. We’ve talked about blended learning strategies, blended learning best practices, and more over the past five years. With all of that information available to you, here’s how you can start with blended learning in your classroom! The first major step to teaching with blended learning is auditing the resources that you have available. Most importantly, you need access to computers or tablets. These gadgets will let you use almost every blended learning tool possible. Naturally, they let you access online resources like digital curriculum, but they’re also great for cooperative learning and self-paced work. As a result, computer access plays a major role in blended learning because of the sheer variety of instruction strategies you can introduce to your students. Aside from tech, you’ll also need some conventional classroom resources — chalk, markers, pencils, paper, etc. These conventional resources are important because blended learning is not about shifting your classroom entirely to computers. Blended learning is about using every classroom resource and teaching strategy you have at your disposal. That could include lectures, guided classwork, pen-and-paper quizzes, short response essays, and a lot more — all in addition to using laptops! So now that you have all of your resources together, you need a plan! While it’s true that even the best-laid plans can go wrong, it’s equally true that having no plan is a recipe for disaster. That’s why it’s so important to have your syllabus incorporate the blended learning resources you want to use. You can even get so detailed as to make a full-fledged course guide that contains detailed information about when you’ll use computers, when students will have pen-and-paper homework, and when you’ll lecture. However, this approach assumes that you want to use different resources at different times throughout your marking period. You can also structure your syllabus or course outline by the amount of time students spend on each resource in a day. So you could have 10 minutes of bell work on a computer, 20 minutes of lecture that follow, 30 minutes of group work after that, and so on. This all depends on how much time you have available in a class period. But once you get it down, you can really play with how your students learn different ideas at different times. As a nice benefit, this approach to a blended learning syllabus tends to work well for students with IEPs and those who learn best from one specific teaching method (like visual or hands-on). This helps you accommodate multiple IEPs in the same class period while ensuring the rest of the class can either keep pace or work ahead. Then, if a student does fall behind, you can dedicate more time to that student to help them stay on track. Ultimately, it’s up to you how you want to craft your blended learning syllabus. The objective is to ensure your students get the most out of every day. Regardless of what tactic you choose, you’ll have a great frame of reference for what went well and what didn’t work out after a marking period of blended learning. Then, you get to move onto the next big step in the blended learning process — improvement! Every teacher has times when students are silent, disruptive, or otherwise not doing their work. That’s why it’s so important to reflect on your marking period to figure out when that happened and how you can prevent it next time! Many teachers find that disruptions happen during task transitions, like when students shift from lecture to independent work or vise versa. You may also find that disruptions are especially prone during group work, which can make it a challenge for a whole class to complete work on time. Identifying these times in your day is crucial to implementing the proper classroom management strategies to fix them. In a worst-case scenario, you may find that you have to cut a whole strategy from your blended learning approach, which could require you to rework part of your syllabus. It happens — it’s a bummer, but it happens. But every mishap creates a new opportunity for success! As long as you’re diligent with your students and willing to try new things, you can create an adaptable and successful blended learning approach that’ll keep your students engaged. Speaking of trying new things — are you ready to try blended learning for yourself? The Best Part of Blended Learning: Trying It Yourself! We can show you all the text, videos, and graphics we want. But if you’re someone who learns by doing, those resources just don’t do the trick for you! That’s why it’s so important to try blended learning for yourself. Get your hands dirty! You can kick it all off by adding digital curriculum to your list of classroom resources. Digital curriculum is designed specifically for use in blended classrooms. It incorporates modern features like automatic grading, customizable assessments, and a whole lot more. Plus, compared to most other blended learning resources, this one is the easiest to start using! Are you ready to jump into blended learning? Learn more about digital curriculum today!